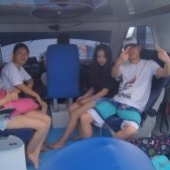 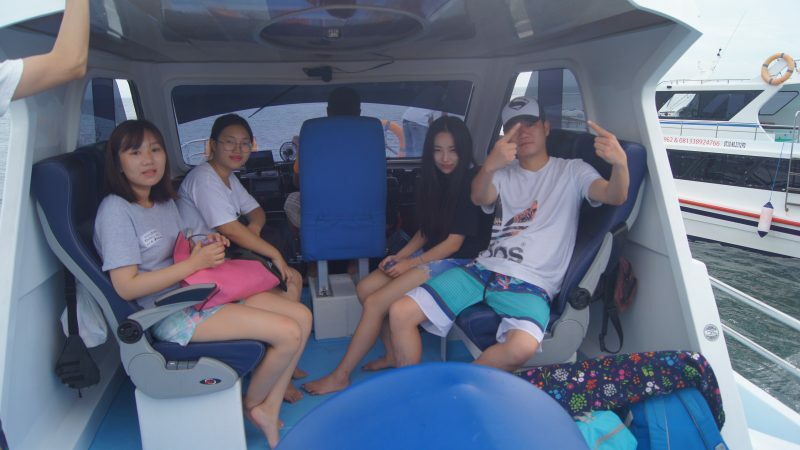 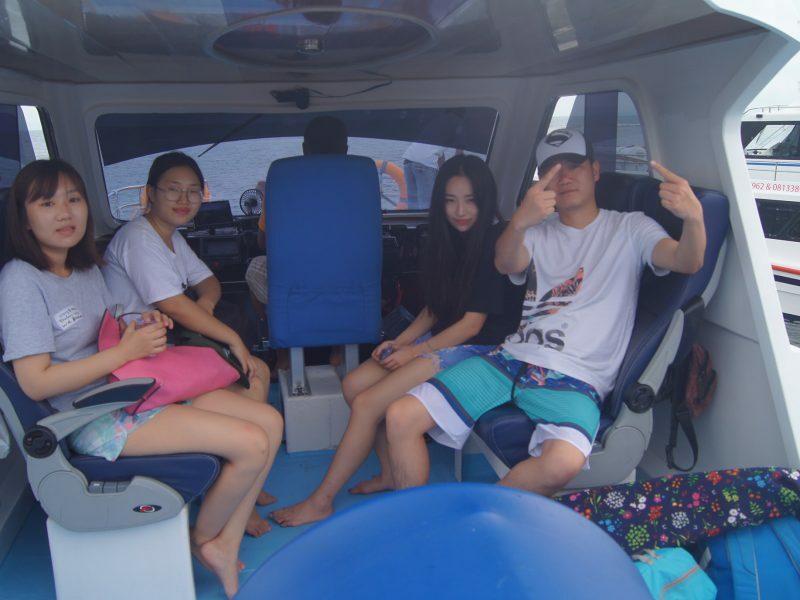 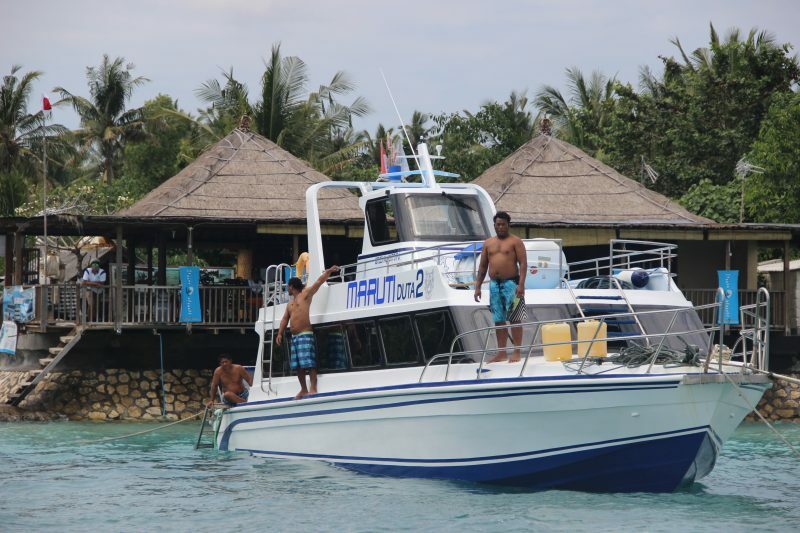 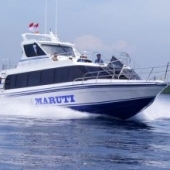 Maruti Fast Boat transfer company operates between Sanur beach to Nusa Penida Island, Nusa Lembongan Island, Gili Trawangan Island, Gili Air Island and Lombok Island in sunny Bali, Indonesia. 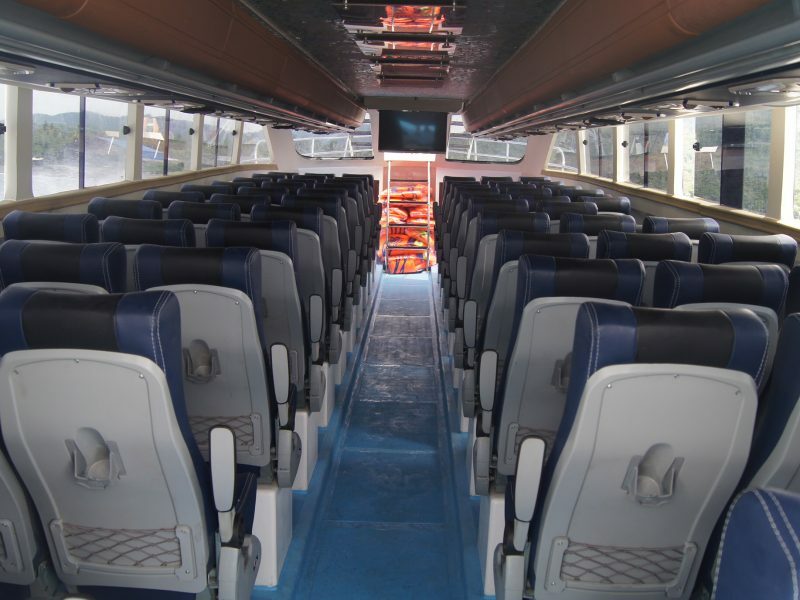 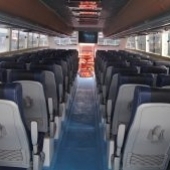 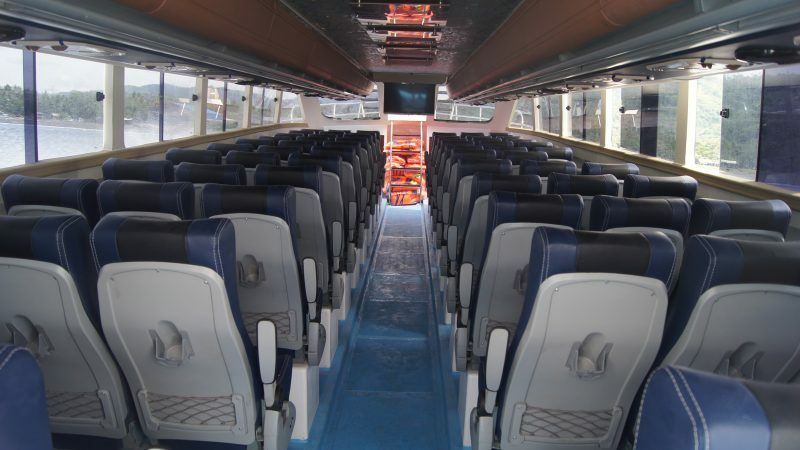 Enjoy plush seating and panoramic views aboard the brand new Maruti Group Fast Boats (Maruti Duta 2, Maruti Duta 3, Glory Express II, Glory Express III and FreeBird Express). 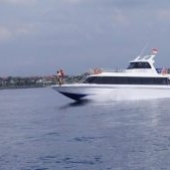 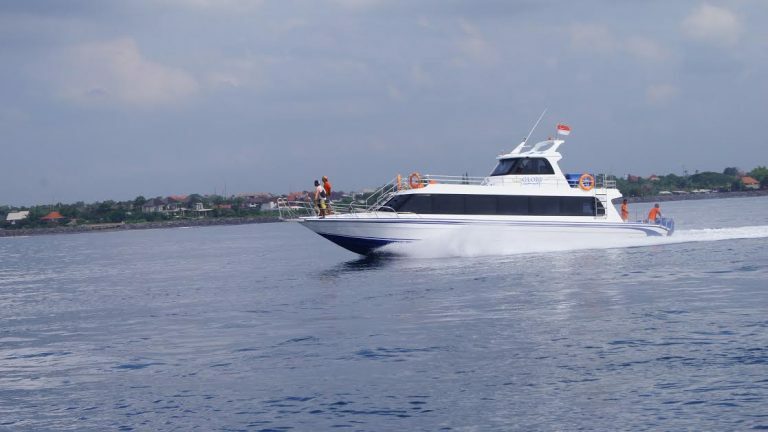 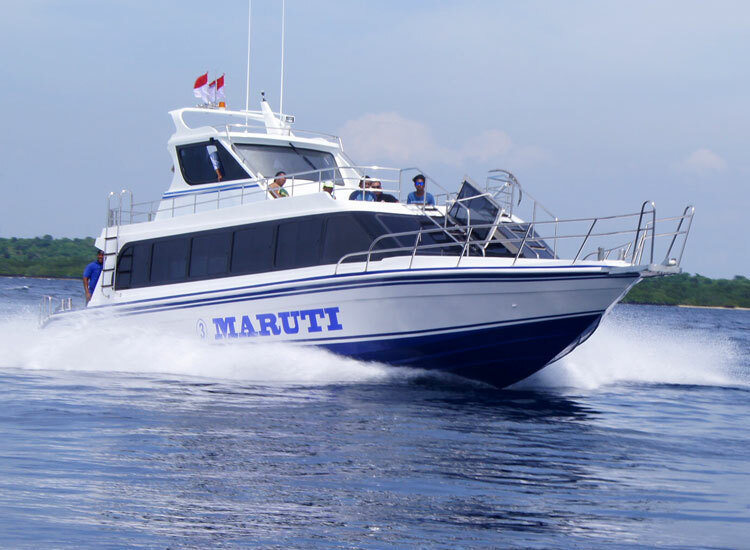 Maruti Group Fast Boats has a top speed of 30 – 35 knots which will ensure a fast and comfortable boat ride to Nusa Penida Island in 30 minutes, Nusa Lembongan Island in under 25 minutes and Gilis / Lombok Island for about 2 hours. 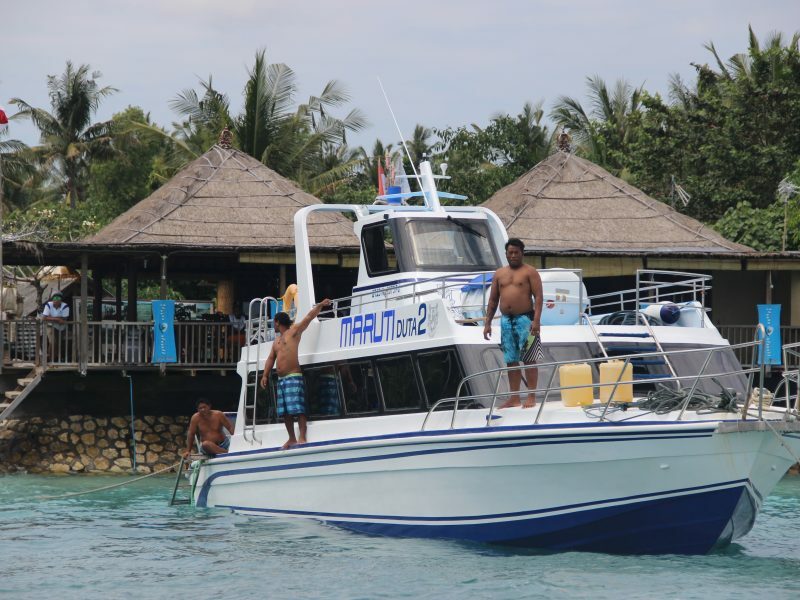 Our friendly staff will help you board the Maruti Group Fast Boats with ease and aim to provide the highest level of Indonesian hospitality. 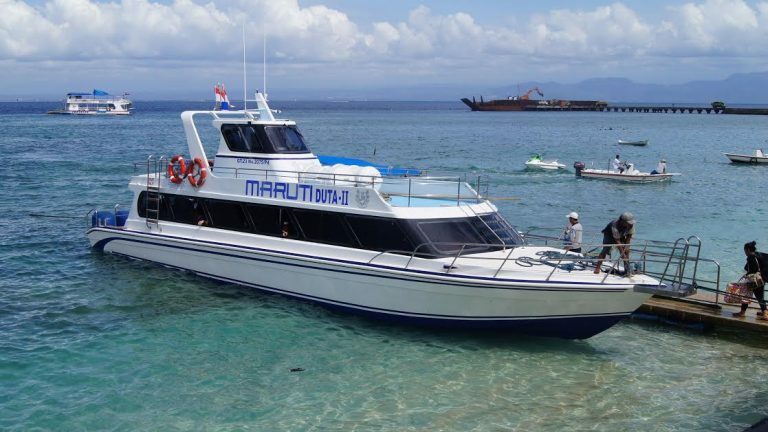 Two ways price also valid for depart from SANUR to NUSA PENIDA and return from LEMBONGAN ISLAND or depart from SANUR to LEMBONGAN ISLAND and return from NUSA PENIDA, but NOT include boat transfer between NUSA PENIDA and LEMBONGAN ISLAND. 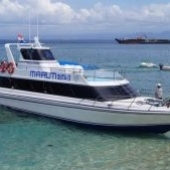 Transfer service from NUSA PENIDA to LEMBONGAN ISLAND available by CHARTER SMALL BOAT with capacity maximum 6 (six) passengers, the extra cost is IDR 400,000 per small boat, departure time on request.